Our one day culinary courses every Tuesday and Sunday. 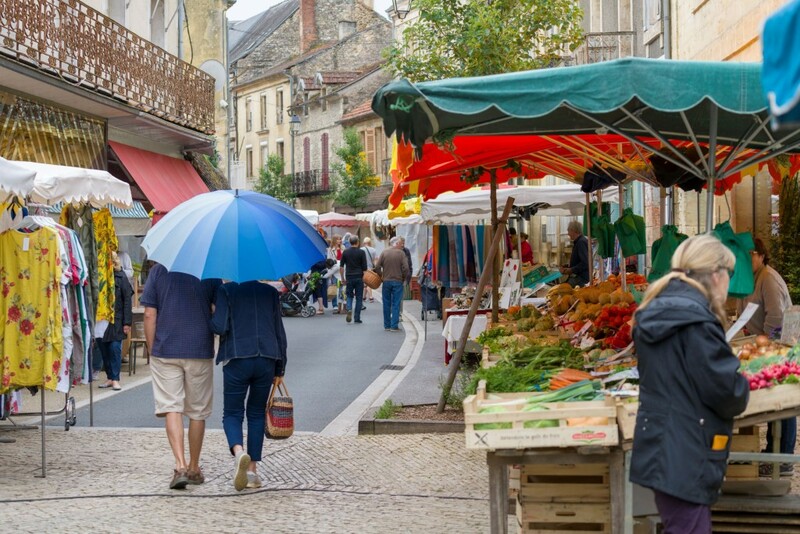 Our one day course consists of a guided market visit at Le Bugue or St Cyprien market from 9.30am to 11am approx, returning to Le Chevrefeuille with regional ingredients to cook and taste until 4pm. The day begins at 9am with the participants meeting each other over coffee, leaving for the market at Le Bugue or St Cyprien at 9h15. The local markets are bursting with ingredients and inspiration and Le Bugue/St Cyprien market is no exception. Whilst there you will have the opportunity to visit various stalls with Ian explaining the vast array of produce and sharing his experience and knowledge. We offer the market visit without the cookery course to partners or others who are interested. 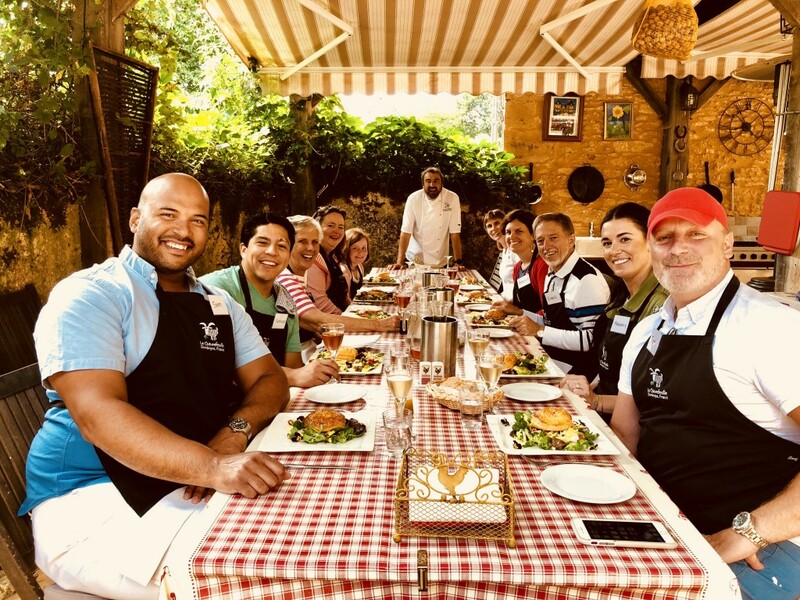 Our half day cooking course is a unique opportunity for people of all ages to participate in a fun experience, preparing a two course regional lunch menu to be enjoyed at the end of the morning. It is a ideal course for families and friends who want to do a fun activity together which is interesting and informative. Kicking off at 10am so as to not scare off budding teenage chefs, this cookery course begins with interesting and amusing introductions to the ingredients for which the Dordogne is famous. A hands-on session preparing, cooking and tasting a range of delicious, exciting and surprisingly simple dishes that chefs of all ages can recreate at home. All participants leave with a recipe e-book and all junior chefs, a CookDordogne Junior Chef Certificate of Participation. Parents and guardians leave smug in the knowledge that the kids can now help out in the kitchen! Thanks for a fantastic cookery course. Its been great fun especially the blow torch and the crème brûlée. I’ve really enjoyed the tuition – very relaxed but informative & of course the sampling of our cooking and accompanying wine. 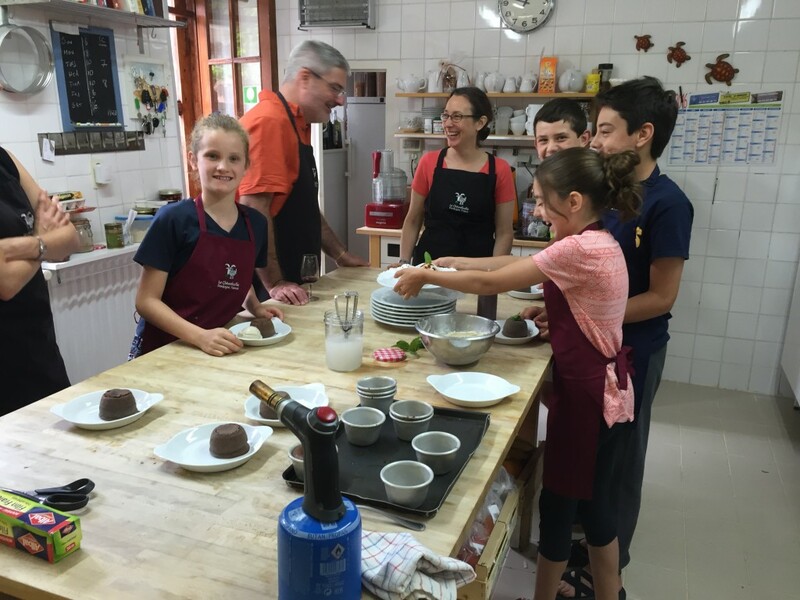 Ian, Thanks – the cookery course was fabulous – good food, good fun, good memories and so many wonderful tips! When I slice thin I’ll remember you! The walks and market visit were especially wonderful. Thanks for everything. We’ll be back! “ From the moment I set foot in the Perigord Noir, I knew it was the place that I wanted to be. The local people have respect, passion and knowledge for local food and ingredients that comes from working the land and making the most of everything that is available. 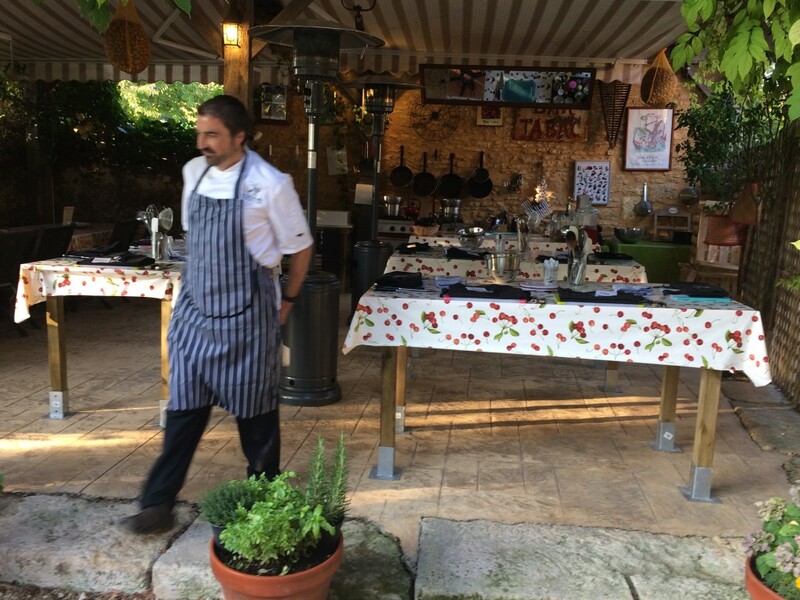 In the Perigord eating is a way of life, a source of pleasure and friendship. Despite cooking for all of my adult life, I am constantly learning and recently have started to do a lot more foraging for food, enjoying the countryside and cooking free food is my idea of heaven!